Following feedback from residents we launched a pilot service last year for Camden officers to take meter readings. 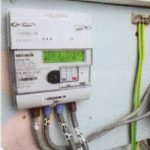 Access to meters in communal electrical intake cupboards had to be restricted following guidance from the Health and Safety Executive. This meant that some residents were unable to access their meters to take meter readings. The service has proved to be very popular with residents and since the service launched at the end of 2018, our meter reading officer has dealt with over 260 requests.